Inbound marketing is about creating valuable experiences that have a positive impact on people and your business. How do you do that? You attract prospects and customers to your website and blog through relevant and helpful content. Once they arrive, you engage with them using conversational tools like email and chat and by promising continued value. And finally, you delight them by continuing to act as an empathetic advisor and expert. Unlike outbound marketing, with inbound marketing, you don’t need to fight for your potential customers’ attention. By creating content designed to address the problems and needs of your ideal customers, you attract qualified prospects and build trust and credibility for your business. Inbound marketing is just one part of a larger movement in the business world. That movement is inbound. Inbound is a method of attracting, engaging, and delighting people to grow a business that provides value and builds trust. As technology shifts, inbound guides an approach to doing business in a human and helpful way. Inbound is a better way to market, a better way to sell, and a better way to serve your customers. Because when good-for-the-customer means good-for-the-business, your company can grow better over the long term. 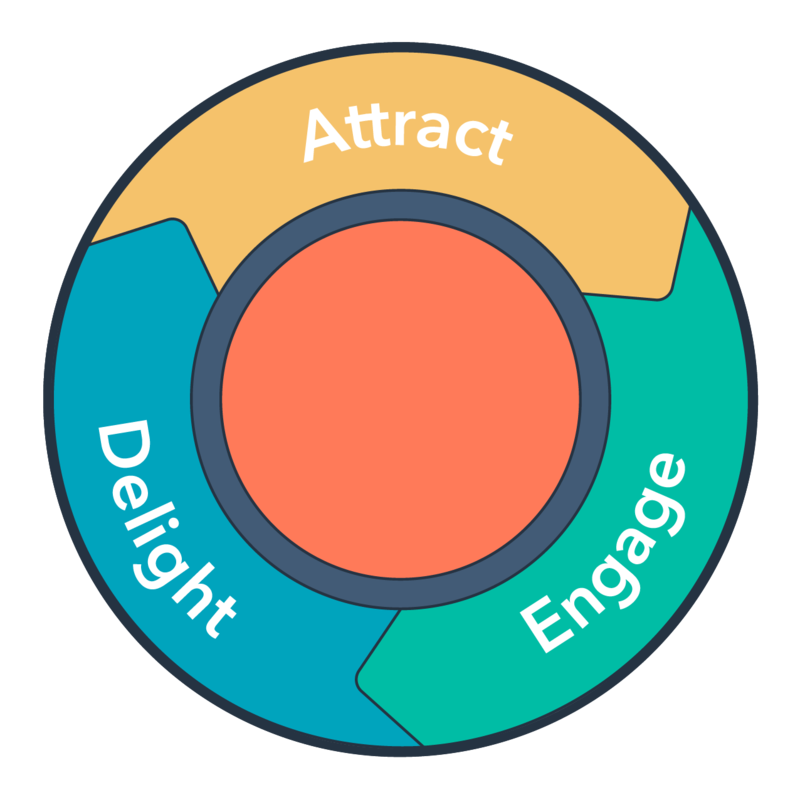 The inbound methodology is composed of three stages: attract, engage, and delight. Inbound businesses use the methodology to build trust, credibility, and momentum. It’s about adding value at every stage in your customer's journey with you. From a business perspective, the methodology represents the growth of your business, and happy customers provide the energy that fuels that growth, either because they buy from you again or because they bring new customers to you by promoting your product to other people in their network. But if you produce unhappy customers, either by selling to people who are bad fits for your offering or by overpromising and under-delivering, they’ll slow your company’s growth. When all of your teams are aligned around an inbound approach, you can provide a holistic experience for anyone who interacts with your business, no matter where they are in their buying journey. Attracting isn’t just the role of marketers. Engaging isn’t just the role of sales. Delight isn’t just the role of services. To create relationships that last and customers that stay, every customer-facing team needs to focus on how they can contextually attract, engage, and delight your prospects and customers and continue to build trust in your brand. During the past few years, the same change in buying behavior that sparked the inbound movement has also spread throughout the whole customer experience. How people communicate and what they expect from your business has changed. The good news? 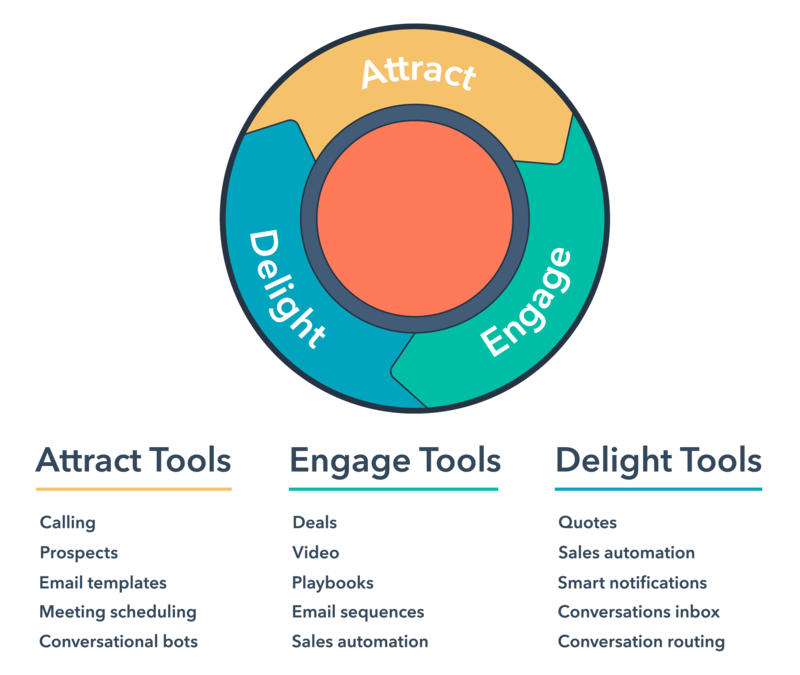 The inbound methodology, along with technology, continues to help businesses adapt to fast-changing needs — not just with marketing but with the entire customer experience. Supporting this methodology is a full platform of software for marketing, sales, service, and customer relationship management. These tools are powerful alone, but they’re even better when used together, helping you grow with the inbound methodology. By combining the inbound methodology with the HubSpot software, you’ll grow your business and get customers who buy more, stay with you longer, refer their friends, and tell the world they love you. As an inbound marketer, your goal is to attract new prospects to your company, engage with them at scale, and delight them individually. You also partner with your sales and services teams to keep the flywheel spinning effectively and help the business grow. It's a big job, but the inbound methodology and Marketing Hub have you covered. You don’t want just anyone coming to your website. You want people who are most likely to become leads and, ultimately, happy customers. How do you get them there? You attract more of the right customers with relevant content at the right time — when they’re looking for it. Use the content strategy tool to build your authority in search and rank for the topics that matter the most to your prospects. Publish your blog post or video content across social networks using the social media tools. Create ads to increase awareness of your brand with your target audience. Throughout each stage, you’ll be reporting and analyzing these efforts to stay informed on what’s working and where you need to improve. Use conversations to create lasting relationships with prospects on the channels they prefer — through email, bots, live chat, or messaging apps. Use the conversion tools — CTAs, forms, and lead flows — to capture the information of prospects visiting your site. Use all the prospect and customer information in the CRM to personalize the website experience using smart content and the entire buyer’s journey using email and workflows. Create brand loyalty by targeting specific audiences with your social content or ads. Choose from hundreds of connect integrations to add additional tools and features to fit your business’ unique needs. Use email and marketing automation as well as conversations to deliver the right information to the right person at the right time, every time. Use the conversations inbox to align with your sales and service team members to create contextual conversations with the people you do business with. Create memorable content your prospects can share with their friends and family by using a variety of content formats — like video— that your prospects prefer. As an inbound salesperson, you spend your days attracting new leads to grow your pipeline, engaging with people who are ready to have a sales conversation, and delighting them with solutions to their problems. 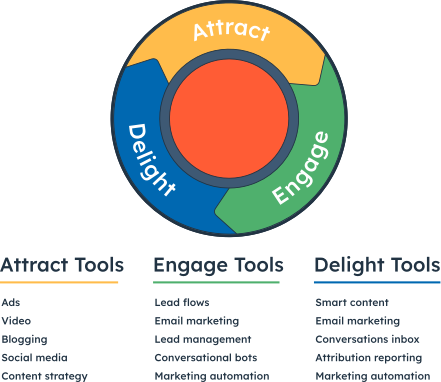 This is where the inbound methodology and Sales Hub come in. It’s all about showing your prospects they can trust you to help them solve their problems. Put your meetings page on your website, making it easy for visitors to grab time on your calendar to discuss their needs. Use the prospects tool to see who’s visiting your website. Use conversations and calling to connect and converse with people. Keep in touch with the people you’re most focused on with email templates and sequences. Use documents to track how much time people are spending with your content, and make it easy for these people to put time on your calendar by using meetings links. Use calling to record and transcribe the calls you make and playbooks to guide your interactions with people. Use quotes to make your recommendations crystal clear. Automate pieces of your sales process with workflows so you can respond to people faster. 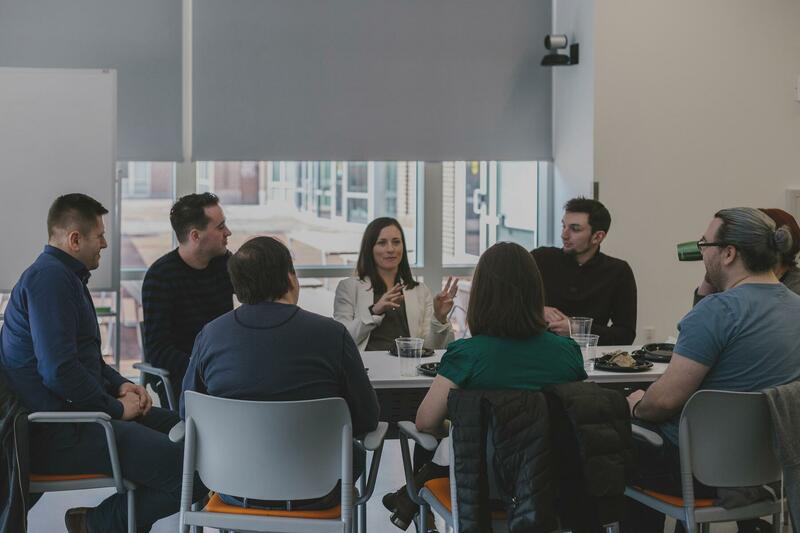 Meetings, conversations, and quotes don’t just make life easier for you — they make life easier for your customers, too. Use these tools to make your sales process as pleasant as possible for your customers. As an inbound service professional, you help your existing customers find answers to their questions, get help when they need it and how they want it, and enjoy their experience with you. The inbound methodology and Service Hub can help with that. People look for answers to questions. If those questions are about your products, goods, or services, they’ll look to you for answers. By using the knowledge base tool and a strong knowledge strategy, you can provide the right information in the right way. Craft meaningful solutions to problems that a person may be dealing with and publish those solutions on the knowledge base. With the ability to include rich media like video, audio, and images, you can provide answers and insights that are effective for multiple types of learners. Knowledge base articles may not always provide the information someone is looking for, and this is where tickets and the conversations tool come into play. Tickets are fully integrated with HubSpot Conversations, and with the availability of live chat and chatbots, your customers can request help and advice in real time, receiving expert-level assistance across multiple channels. Because you have the ability to know where and when someone is looking at a certain web page or knowledge article, you can create a chatbot that provides contextual, relevant answers and resources that may not normally live in the article itself. If all else fails, the ability to automatically create a new ticket, assign it, and notify the user streamlines the service process. How do you know if you’ve provided a positive customer experience? Ask. With Service Hub’s built-in feedback system, collecting feedback on a customer’s experience has never been easier. By combining feedback scores with chat and email transcripts, you can iterate over your shared knowledge resources on a continual basis, refining and enriching your content each time. Sign up for HubSpot Academy for free to learn about the inbound approach, access free tools to try it yourself, and get Inbound certified. Grow your business and your career with the inbound methodology.